Robert Ryan - Take Cover, Watson! Never let it be said that it is a waste of time for an author to meet his or her public. Without an audience suggestion at a library talk I was giving, my new Dr Watson novel (the fourth in the series) would be a very different beast. At the event, I announced that it was to be called The Two Headed League, and would feature Dr John Watson in WW1 working with a celebrity partner - not Sherlock Holmes - to solve a series of killings at country houses across England. It slightly took the wind from my sails. He was right. The first in the series, Dead Man’s Land, mainly takes place in the trenches of Flanders. The second, The Dead Can Wait, in Norfolk and Essex, and the most recent (A Study in Murder) in a POW camp for British officers, after Watson is captured by the Germans. The Two Headed League went on the back burner. 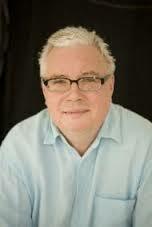 The sequence of novels had taken me – or rather Dr Watson – up to 1917. What, I wondered, was happening on the Home Front in that year? Well, as it turned out a great deal, including the Blitz. But, I hear you ask, didn’t the Blitz take place in 1940? Well, yes, the famous one. But in 1917, after the Zeppelins had proved too vulnerable to incendiary shells, the Germans began to send over fixed wing Gotha bombers. There were many similarity between the bombing campaigns of 1917/18 and 40/41 – Londoners took to the tube stations for shelter, there was loss of life – most famously at the Upper North Street School in the East End, where eighteen died, the majority aged 4-6 – and a system of early warnings/all clear was developed. The latter were crude - a policeman on a bicycle with a placard saying “Take Cover” and blowing his whistle warned of enemy aircraft (motor cars were also co-opted where available), while Boy Scouts blowing bugles indicated that the danger had passed. 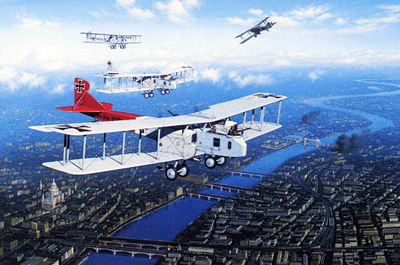 Throughout the summer of 1917 and into September, whenever the moon was full and the bombers of the “English Squadron” could navigate by the silvery arrow of the Thames, right into the heart of London, the sound of the Gotha’s engines pulsed across the city, often causing panic in the populace. The South Coast suffered, too, with Hastings, Dover and Margate enduring multiple raids, and again the mere sound of the approaching Mercedes and Maybach engines struck terror into those on the ground. 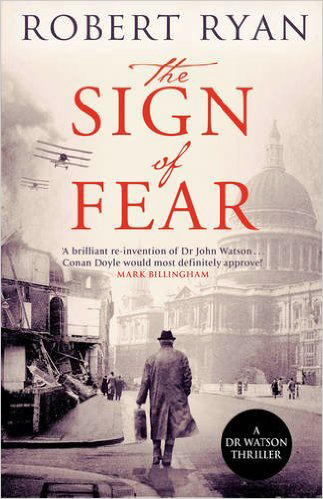 The phenomenon became known as “The Gotha Hum” (even if the planes were sometimes the enormous Zeppelin-Staaken Riesenflugzeuge, or Giants) and the seeds of my new novel, The Sign of Fear, grew from that. What if someone could create a bogus “hum” to clear the streets of London, as a cover for perpetrating an ambitious and terrible crime? There are other elements in there – the first cases of the Spanish flu, the frailty of Sherlock Holmes, Sir Ernest Shackleton’s rogue brother, the torpedoing of hospital ships by the Germans, the disgraceful treatment by the government of those maimed and blinded in the trenches. But at its heart are Major John Watson and a very unlikely new partner, both trying to thwart the nefarious schemes masked by the phony Gotha Hum. Actually, come to think of it, it could still have been called The Two Headed League after all. Still, I’d like to thank the unknown audience member who nudged me towards London as the scene of this particular crime.